We are just starting the fundraising process for our latest feature documentary. Wounded Without Weapons explores PTSD within the first responder community. Tax deductible donations are being accepted toward the production and outreach. ScrambleVision profles the amazing live music artwork of Keith "Scramble" Campbell. In 2013, we had a successful festival run including screenings in Telluride, Rhode Island, Florida, Toronto, Memphis, Boulder, Carmel and Los Angeles. We've screened the film to many inspired viewers, had some spirited Q&As, and managed two audience choice awards and one best short doc prize. Been spending a fair amount of time working down at Boulder's eTown Hall. Lots of amazing performances and sit down interviews shot monthly in conjunction with the national radio show tapings. The list of talent there is big and growing. Filmcartel has continued its mission to provide quality video content to independent acts such as Hard Working Americans, STS9, Devotchka and Jeff Austin Band . Several new music video projects are in the works as you read this. Eric joined both the cast, as "news cameraman", and crew, as b-camera operator, for the 42 productions romantic comedy called 'Fishing Naked' We shot the film in/around Nederland just miles from our H.Q. THINK GLOBAL, FILM LOCAL! The Cove took home The Oscar for Documentary Feature at The 82nd Academy Awards in addition to winning over 75 laurels on the 2009/2010 film festival and awards circuit. The true reward will be when there is actual protection for Japanese coastal dolphins and eventually all cetaceans worldwide. Eric was honored to shoot part of the film. Available now on DVD and download. 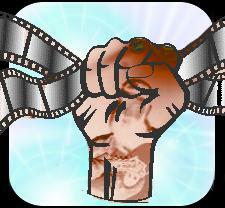 As the green economy continues to grow, filmcartel.org is particpating. Besides documentation, Filmcartel.org practices what it preaches. We are constantly developing and implementing new ways to reduce our resource footprint both in studio and in the field. See how!